St. Barth is paradise and of course the food and wine in paradise must be fineeeeeeee. With plenty of fresh seafood and a plethora of indulgent ingredients courtesy of the French-influence, it was hard not to over-eat in St. Barth. When I’m on vacation, all bets are off. I figure I can cleanse, diet and workout when I’m back home! Life is too short not to try the best cuisine a destination has to offer, especially a destination like St. Barth, which is synonymous with living life to its fullest! I absolutely loved the sophistication of the cuisine in St. Barth, which was coupled with a casual atmosphere, even at its fanciest restaurants. 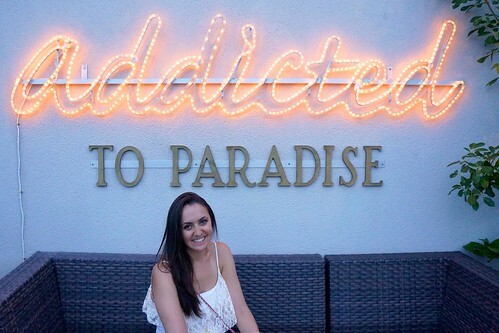 My first recommendation for St. Barth is to get your champagne on! It’s one of those places that people are sipping champagne on the beach and to truly enjoy the island, I suggest you sample a glass yourself. 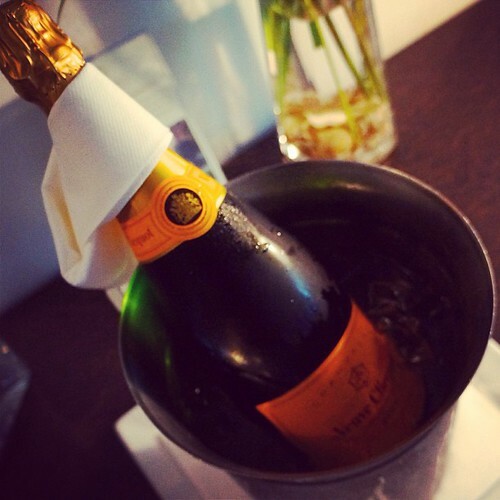 You haven’t enjoyed the waves until you’ve had a glass of Tattinger champagne or perhaps some Veuve Clicquot. So, as I mentioned in my review of La Plage and Tom Beach Hotel, I really loved it here. All the food I had was incredible. I also loved that every meal, they changed up the offerings as well as the ambiance. Friday is clubby, Saturday afternoon was a Nikki Beach type of boozy brunch bonanza, Saturday nights it was a chill wine-tasting vibe and by Sunday night it was rockin’ with live music and a laid-back atmosphere. 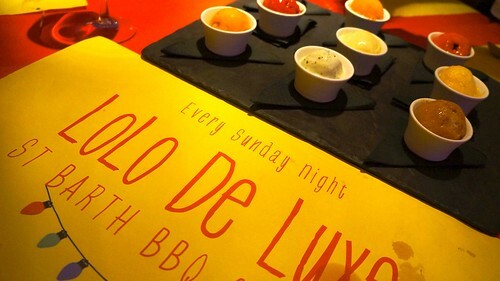 My top picks for cuisine at La Plage go to the Chicken Wok (yum! ), any Tuna item since it’s freshly delivered almost everyday, the Tuna Tartar was exquisite, the Lobster fritters were also to die for! The homemade sorbet here is also out of this world. They creatively prepare nearly 20 different unique flavors like Strawberry-Red Pepper and Pineapple-Cinnamon. Order the sampler platter on Sunday! It’s so fun! I also must mention the ambiance: it opens directly onto the beach! The views are amazing. 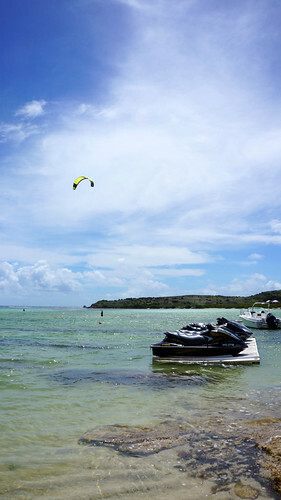 La Plage is efinitely a must-see if you’re in St. Barth! Also be sure to check out their wine tasting! Another of my favorite, and perhaps the most indulgent meal ever was at La Gaiac at Le Toiny Hotel. They make a creamy, truffle pasta tableside with more truffles than I have ever seen. 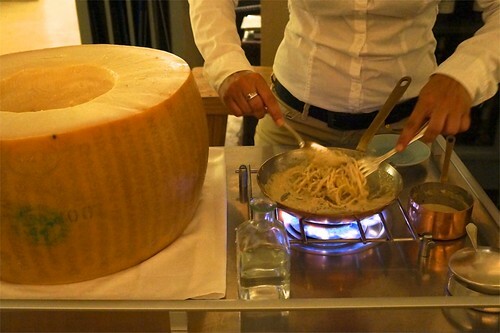 Then they mix them up with the pasta inside a giant wheel of cheese! Have you ever tried anything more indulgent? Seriously, let me know in the comments. I can’t even imagine a dish. As if I hadn’t ruined my bikini-ready body enough after this meal, the next day we headed into town to walk around. What we found was Le Select, a low-key bar and a snack counter that inspired Jimmy Buffett’s “Cheeseburger in Paradise.” And he wasn’t lying. Another great spot over in Shell Beach is Do Brazil. This seaside hang serves up creative cocktails, standard island pub fare and a few Asian-influenced dishes. If you’re looking for local beachfront cuisine, check out O’Corail Restaurant at Grand Cul-de-Sac beach. The views are beautiful and the food is solid. Victoria’s at the Carl Gustaf hotel is a must if you’re looking to have a splendid view of Gustavia harbor. The dinners here are gourmet and uber romantic. If you don’t want to spend a fortune, come here just for a cocktail, its views are worth it! Finally, for an extremely romantic meal, check out On the Rocks at the Eden Rock Hotel. While the views of St. Jean Beach will have you head over heels, the gastronomic dinner is some of the best food on the island. 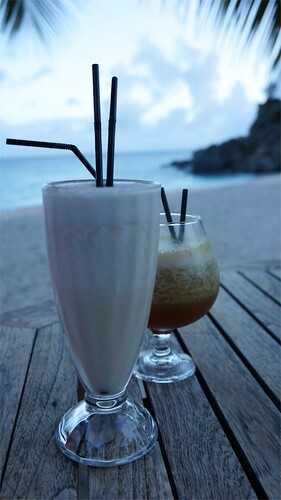 What are your favorite restaurants in St. Barth? Let me know in the comments! If you’re planning a trip to St. Barth be sure to check out my advice for What to do in St. Barth and also my review of my favorite luxury hotel on St. Barth, Tom Beach. I would agree with all of your statements! 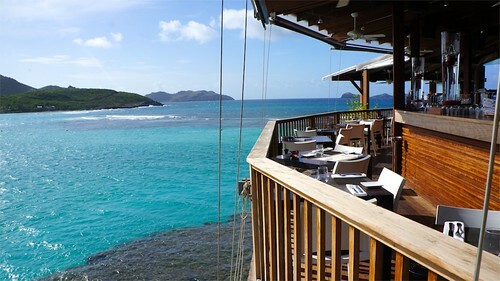 In St. Barths my top go to for lunch on the beach is La Plage. Come night time dinner is Eden Rock. However, the cheese wheel from La Gaiac is a must try at least once. Glad you agree with us 🙂 Yum, my mouth is watering just thinking about St. Barth again! Wow! Really looks like paradise. A diet with French-influence and fresh seafood? What a combination!! I quite agree! It was hard not to order three meals just for myself! haha. Hope you get to make it there. 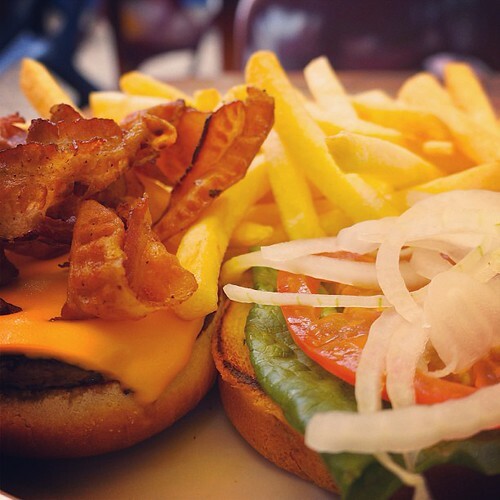 Be sure to share your favorite restaurants with us when you do!